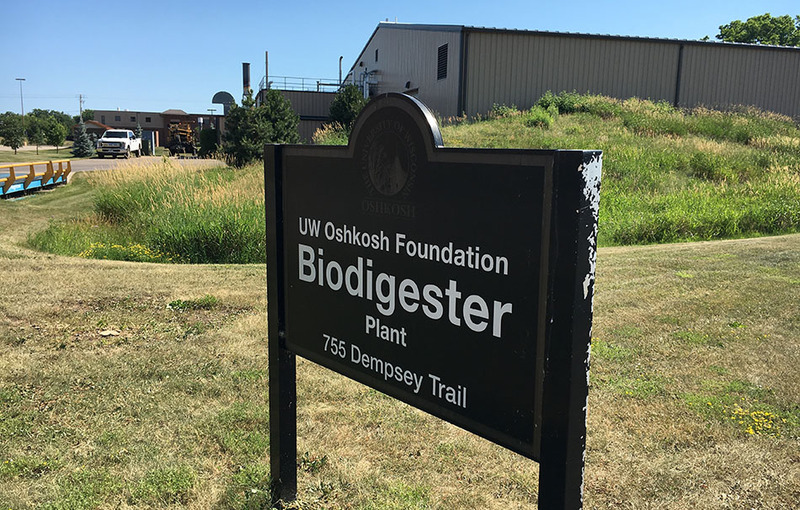 This biodigester is one of two major assets that remain in the UW Oshkosh Foundation bankruptcy case. The University of Wisconsin System missed a key filing date in its effort to fight a multimillion dollar judgment awarded to the UW Oshkosh Foundation. Swanson made his remarks at a Sept. 25 status conference before U.S. Bankruptcy Judge Susan V. Kelley, who ruled in August that the state owes the foundation $15 million for breach of contract. The dispute is over several development projects the foundation pursued in the belief that UW Oshkosh would back it up if financial problems arose. When problems did arise, the university repudiated its agreement with the foundation, which led to a bankruptcy filing last year. Kelley had expected that her ruling would have been taken to the Seventh Circuit Court of Appeals. But the state decided it would be better to fight things out in district court. While the state filed an appeal to the ruling in early September, it did not follow up with required paperwork within 14 days. This subsequent filing should have designated which court records from the initial review that it wanted to include in its appeal and the legal basis for the appeal. Swanson said that without those materials a federal district judge is unlikely to rule in favor of the state. The state has asked for permission to file the necessary documents even though the deadline has passed. Assistant Attorney General Theresa M. Anzivino said she had missed the deadline due to “excusable neglect” and that the delay was not so long as to damage the foundation’s legal position. Kelley is scheduled to consider this request next week. She could allow the papers to be filed or decide on her own to send the case forward on appeal. Swanson pointed out that the state has not filed a motion to stay Kelley’s judgment in favor of the foundation. If the ruling is allowed to stand, a payment from the state would satisfy the outstanding loans on the only two remaining real estate assets in the case, the Alumni Welcome and Conference Center and the Witzel biodigester. In this scenario the foundation would turn these assets over to UW Oshkosh in exchange for settling the loans.